Objective-C is C+Smalltalk (the first OOP language). Its easy to understand, easy to design, faster to develop and more manageable in modifications. Since this is a strict superset of C, knowledge in C helps mastering Objective-C. Objective C is used to program apps for iOS and OS X. Objective-C and Xcode are the tools used by the developers to create apps. 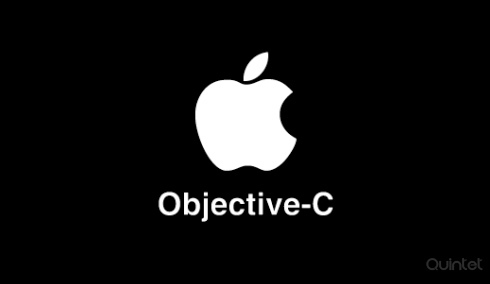 Objective-C is a simple Object Oriented language because its syntax is small and unambiguous which makes it very easy to learn and interesting to work with. It is dynamic in nature where the compiler preserves information about objects for use at run time. The complete functionality of application framework used by Objective-C, Cocoa frameworks, can only be delivered through object oriented techniques. Since Objective-C incorporates C, we can choose to develop apps in object oriented way or in procedural programming. During initial stages of development, memory management was manual which developers had to manage and were having a real tough job. As the iOS features changed over the years, Objective-C has added a feature, ARC-Automatic Reference Counting, where the compiler managed the memory of objects and the developer do not have to worry about the retain/release of the object. Our developers were strong in Manual Reference Counting and now are experts in ARC too. We follow established conventions on naming all the elements in programming. We can extend existing built in classes by creating categories instead of subclassing, a feature unique for Objective-C. This feature helps us to split a large code base to multiple files and categorize according to its functionality. Friendly Ghost Language is a programming language that is used extensively to layout, customize contents that gets printed using various printers. We are familiar with different FGL versions and we can do custom design for the page as well as align the contents for professional look.